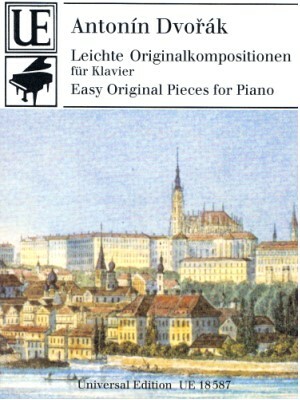 Dvorák, Easy Original Pieces for Piano, Universal ed. Dvorák, Humoreskes Op. 101 Book 2, Simrock ed. 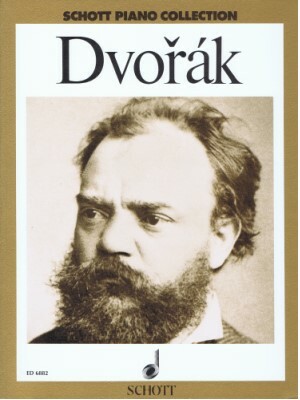 Dvorák, Piano Collection, Schott ed. 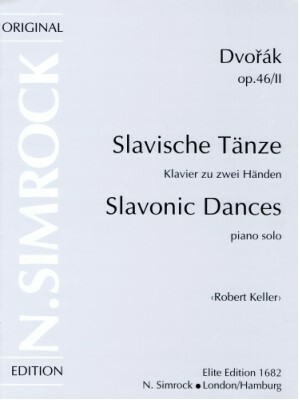 Dvorák, Slavonic Dances Op. 46 & 72, Schott ed. 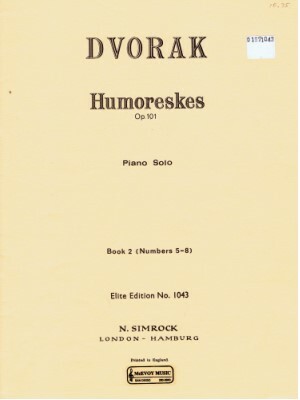 Dvorák, Slavonic Dances Op. 46 Bk. 2, Simrock ed.